Day one: Pickup from Chandigarh railway station / bus stand / airport. 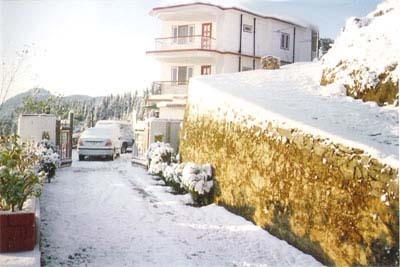 Travel to Shimla which is 120 kilometers away and takes three to four hours. If you start early you can have a break at the Pinjore gardens and / or timber trail resort. (It has a ropeway and a restaurant at the top of the hill). Check in at Hotel. Day two: Local Shimla trip by Indica Car. Visit to Taradevi Temple, Indian Institute of advance studies, Kufri or Naldehra, local Shimla on foot in the evening, here you can see and visit the mall road, Ridge, Lakkar Bazaar, scandal point, Jakhoo temple, Kali Bari Temple and more. Day three: Shimla to Chandigarh, if you start early you can visit the famous tourist spots in Chandigarh namely Rock Garden and the Sukhna Lake. Dropping anywhere at Chandigarh Railway station / bus stand / Airport.